In a recent internal communications project I had the opportunity to gain an interesting perspective on emerging IT and technology trends. To promote an upcoming technical training seminar, I emailed out a questionnaire to help compile profiles on each of the 30 participants – who were solution architects from around the world specialising in cloud computing and data centres. In your view, what is the most exciting current development in IT? What is your favourite tech gadget? 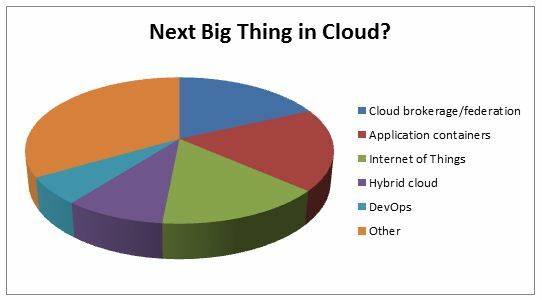 What is the next big thing in cloud computing? Given the depth of knowledge and experience that each of these technologists had, it was not surprising that there were some wildly divergent responses. 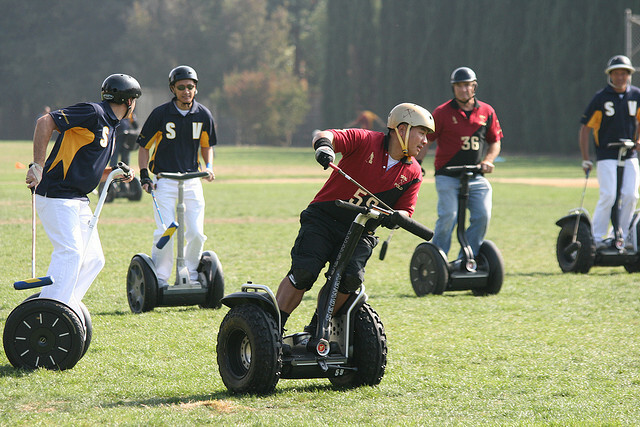 What did surprise me was that a number of them said that they were not really into gadgets (and no-one said the Segway was their favourite gadget). With IT technical specialists, I think we too quickly assume that they are all techno-geeks. Not surprisingly, given the specialisation of the solution architects surveyed, a strong frontrunner was cloud computing accounting for 35 percent of responses, but there was also some popularity for IoT – the Internet of Things. And what was in the ‘Other’ category? Responses included machine-to-machine (M2M), virtual reality (VR), automotive safety, automation, agile software development, wearable technology, , 3D printing, service-oriented IT, DevOps, virtualisation and consumerisation of IT. 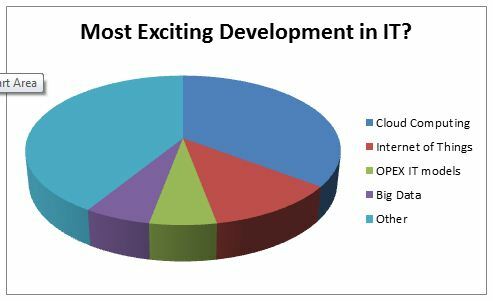 The question on the next big thing in cloud again threw up a range of divergent responses, but there were some clear trends, with support for cloud federation/brokerage and application containers both at 18 percent, followed by IoT at 15 percent. The ‘Other’ category included single nominations for computing power, community clouds, a killer SaaS app, big data, security, orchestration, and automation. 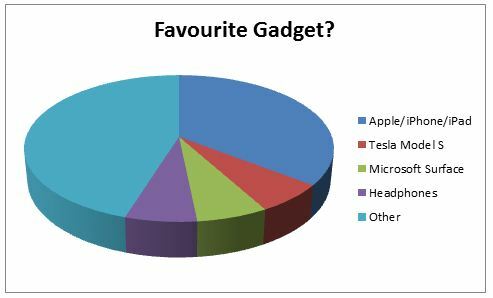 Finally, we had a fun question – what’s your favourite gadget? Again, there were a lot of different nominations but also one that stood out: Apple. Combining the responses received for Apple, iPad and iPhone, they represented over 35 percent of the total. The only others to rate more than a single mention were Microsoft Surface and the Tesla Model S (two nominations each). We also had a lot of ‘non-tech’ gadgets nominated, including a chainsaw, a slide-rule, and super-light waterproof fabric. The ‘Other’ category also included Bluetooth headphones, drones, safe driving tech, Android phone, Xbox 360, Raspberry Pi, Oculus Rift, Arduino board, Bose noise-cancelling headphones, and the BMW i8. What’s really interesting in the gadget responses is the shift in thinking about Apple. Five to ten years ago, I wonder if there would have been the same popularity among high-end technologists for Apple’s devices and ecosystem? Amongst IT architects, it was a Windows and Linux-dominated mindset back then. Looking for underlying themes across all three questions, you would have to say that there is a real appeal among technologists for the trend towards simplification and abstraction brought on by the world of Apple and cloud computing. The complexity can be hidden behind the user interface – if you want to install an app or spin up a server, it just works. There is also a strong interest in the impact that the hyper-connected future (IoT, wearables, automotive developments, etc.) are starting to have on the IT industry, particularly cloud computing.